Depending on whom you ask the poodle is considered to be one of the world’s smartest dog breeds, but is that what makes this dog so lovable? Poodles come in three different sizes (and are often mixed to make other cross breeds) and their non-shedding hair (instead of fur) is great for those who have allergies. Read on to find out more about poodle’s characteristics including their history, various types, cuddly appearance, intelligence and their overall temperament. Is A Poodle A Good Fit? The poodle as we know it has been seen throughout history as long as four hundred years ago. Depicted in paintings from the 15th century and bas-reliefs from the 1st century this dog truly has a historical presence. Unusually however, there is quite a bit of controversy that surrounds the origin of the poodle’s creation. Ask most people and they will tell you that the poodle originates from France – this is perhaps due to cartoon depictions of the perfumed French poodle. According to the American Kennel Club however, this breed has its roots in Germany where its purpose was to serve as a water retriever. Still, there are some who disagree with this German story of origin and put the point of origin of the poodle at Denmark. Regardless of just where the poodle claims its motherland though, one thing is for certain — its roots are found in three different breeds. The poodle claims its heritage from the Barbet, the French water dog and the Hungarian water hound. Each of these breeds contributed to the “final product” that we know today as the poodle. The water-loving nature of all three of these breeds is instilled in the poodle and many believe that this is why the breed received its name – a bastardization of the German word Pudel which translates to mean “one who plays in water”. The poodle had many functions throughout history. Hunters used the dog as a retriever when hunting water fowl as well as a gun dog and even a truffle seeking dog. As time progressed however, the intelligence of this breed became obvious and the French began using poodles as circus performers as well. It is through this type of exposure as a trainable and intelligent breed that the poodle became extremely popular in France, so much so that many began to refer to the dog as the French poodle. The poodle is distinguished as a gun dog and is recognized by the American Kennel Club as a non-sporting breed. This breed is formally recognized by the following organizations: CKC, FCI, AKC, UKC, KCGB, CKC, ANKC, NKC, NZKC, CCR, APRI, ACR, DRA and the NAPR. Overtime the poodle breed began to take three separate paths. The original standard poodle began to diverge in to smaller dogs while also maintaining their size; this caused three classes of poodle to be distinguished. The three varieties of poodle are still recognized today as the standard poodle, the toy poodle and the miniature poodle. The differences between these breeds will be made evident as we look at the physical appearance of the poodle. The standard poodle was the first of the poodle breed to be developed. Also recognized as the Caniche, barbone, chien canne, grosse pudel and the French poodle, this breed stands at 15 inches or taller. The standard poodle can weigh anywhere from 45 to 70 pounds with the females averaging between 45 to 60 pounds and the males averaging 45 to 70 pounds. While weight differs between poodle classes, it is actually the height that is most important in distinguishing which group a poodle belongs to. The standard poodle is considered to be a medium to large-sized breed. The miniature poodle stands between 11 to 15 inches tall and weighs between 15 to 17 pounds. It is crucial for this class of poodle to be over 10 inches and under 15 inches tall to classify as a miniature poodle. If the dog fails to meet this requirement it will be considered either a toy or a standard poodle. The toy poodle stands up to 10 inches tall and weighs between 6 to 9 pounds. If the dog stands taller than 10 inches tall at the highest point of the shoulders it cannot be considered to be a toy poodle and will instead be considered a miniature poodle. The toy poodle is currently the smallest of the poodle breeds recognized by the American Kennel Club however, breeders are in the process of developing two other poodle classes. During the 18th century the smaller poodles that had been bred down from the standard poodles that began the breed, became popular as dogs of royalty. These smaller dogs became an accessory as well as a status symbol among the upper class. There are two more poodle classes that are not yet recognized by the American Kennel Club, however, they are being developed by breeders. The Klein poodle is being considered an “in between” sized poodle which tends to stand between 15 to 20 inches tall. The Klein is generally described as the smaller standard poodle. Breeders are also working to develop a much smaller poodle known as the tea-cup poodle. The tea-cup poodle tends to stand less than 9 inches tall and weigh less than 6 pounds. Neither the Klein nor the tea-cup poodle has officially been recognized as poodle classifications to date. The poodle has a long and straight muzzle with long ears that hang close to the head. The dog’s tail may or may not be docked. The feet of the standard poodle are quite small. The coat of this breed is perhaps one of its defining characteristics and has a corded or curly appearance. There is considerable variety in the color of the poodle coat but it should always be solid in color – however, some breeders are working to breed parti-colored poodles that are not currently accepted by show standards. The most commonly seen coat colors in the poodle are: blue, black, gray, silver, apricot, cream, brown, white, red and café-au-lait. The poodle is most commonly recognized for its traditional hair clip. While many believe that this clip is designed for visual appeal, it was actually developed for a much different reason. As a hunter and retriever, the poodle often found itself in the elements and this led their handlers to develop a clip that best protected the dog without hindering it. The clip features hair on the legs, this was left intact in order to prevent sharp reeds from cutting the dogs legs while retrieving game as well as to help trap warmth and prevent chilling. There are a number of different poodle clips known today; the most common for pet owners is called the “lamb clip” or the “puppy clip.” This variety of cut simply involves cutting the hair closely all over the body. Other popular poodle clips include the Continental clip, the modified continental clip, the town and country clip, the Miami clip and the kennel clip. Even if the poodle is not working or being shown it is important to regularly clip their coat and maintain a regular grooming schedule. The poodle should be bathed and clipped once every couple of months or less if deemed necessary. Unlike other dogs that shed frequently, the poodle is not a shedder and as such it requires regular grooming and clipping to maintain a healthy and manageable coat. Grooming can be expensive but it is a must for anyone considering owning a poodle. If you are unable to financially commit to regular grooming every four to six weeks for your poodle then you may want to consider another breed that requires less maintenance. Another option is to learn how to groom your poodle yourself to save on grooming costs but it is recommended that you only attempt to do this with instruction from a professional. The poodle is a graceful and proud dog and when raised in a healthy household they are a cheerful breed. The poodle is a breed that is particularly sensitive to tone of voice so it is important for poodle owners to be firm but not harsh. A calm and confident owner is the best owner for the poodle breed. Harsh discipline will not be tolerated or heeded by this intelligent breed. The poodle is a sociable dog and does not thrive as an “outside dog” or a dog that is not given adequate time with its pack members. 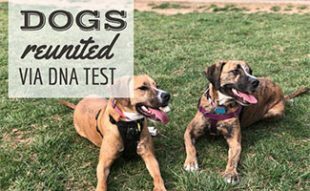 It is important to socialize and begin training this breed as soon as possible to ensure a healthy and well rounded adult dog. When socialized from an early age, the poodle does very well with other animals as well as children and is also relatively friendly with strangers. While friendly with strangers however, the poodle can be used as a guard dog in some circumstances depending upon the dogs overall personality. The poodle can become a very highly strung dog and experience separation anxiety as well when not trained and socialized well. A lack of exercise (both physical and mental) can also lead to these types of behaviors. The poodle is a dog that is generally calm and inactive when indoors but they must receive sufficient exercise to stay healthy. A daily walk is a must for this dog but off leash play time and more rigorous activities is recommended to keep this breed fit and happy. Where the smaller poodle breeds can get away with less exercise, the larger standard poodle must receive adequate exercise daily. Mental stimulation is also an important part of owning any type of poodle. As the world’s second most intelligent dog breed, it is crucial to keep this dog stimulated to avoid problem behavior. Activities that poodles enjoy include retrieving, agility work, watchdog work, learning new tricks and competing in obedience trials. If you are unable to provide these types of activities it is recommended that you combine regular exercise with problem solving toys and games to encourage psychological growth and exercise. Exercise is a must for any dog breed, particularly working dogs. If you are considering owning a poodle however, exercise is a particularly prominent concern. Without sufficient exercise this breed will become obese, destructive and unhappy. 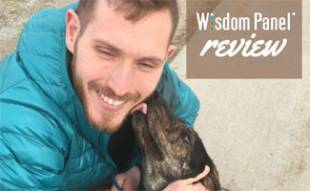 You must be willing to dedicate yourself to a daily walk as well as off leash play in a secure area to make sure that this dog thrives. The poodle is considered to be a long-lived breed with an average life span of 12 to 15 years. Despite being long lived however, the poodle is prone to a number of health conditions, many of which are genetic. Some of the most common health concerns for poodle owners to look out for in their dogs include: cataracts, progressive retinal atrophy, runny eyes, skin conditions, allergies, ear infections, hip dysplasia, Von Willebrand’s Disease, bloating (in larger poodles) and premature graying. Most dog breeds have health concerns and many of these can be avoided by researching a dog’s genetic lines prior to purchasing a puppy. If you are looking to purchase a poodle make sure that you conduct thorough research to ensure that your dog comes from sound genetic stock. 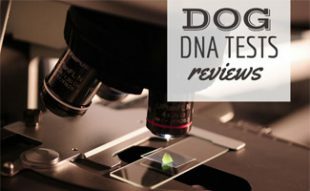 It is also important to know that even dogs from the best genetic lines can experience health concerns that can be costly. That’s why we recommend you get pet insurance to help cover some of the expenses. The long lifespan of the poodle is also something that should be considered when you are deciding if this is the right breed for you. There are a number of dogs that have much shorter average life spans; the poodle is not one of them. Before bringing any dog home it is important to know that they could live as long as sixteen years or longer, the poodle is notorious for having this type of extended lifespan. Any dog is a commitment, just be aware that for a poodle this commitment could be longer than many other dog breeds. Watch this breed in action and learn more about the history, different sizes and what it’s like to have a poodle as a pet in this four minute video from Animal Planet. Is A Poodle The Right Dog For Me? While many people jump at the chance to own one of the world’s most intelligent dog breeds, it is important to understand the amount of responsibility that this label brings. Unlike some other breeds that are happy with a game of tug of war, the poodle requires frequent and challenging games to maintain engagement with its owner. Being able to meet this breeds psychological needs is not the only thing to consider when deciding whether a poodle is right for your household though. 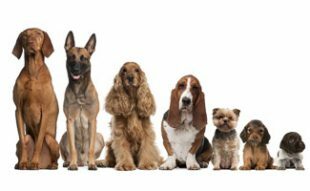 If you are away from home all day and cannot provide companionship and exercise for your dog in the form of a mid-day walk, a dog walker or dog sitting, you may want to reconsider owning a poodle and look into other dog breeds. This is a very family oriented dog that thrives on companionship as well as exercise. Do you have a poodle or want one? Actually, standard poodles were orginally multi colored, breeders specifically bred them to get solid colors when they brought them to the states, in the UK, Parti’s are accepted/recognized and are able to show, a lot of breeders here in the states will put parti puppies down b/c they cant show them. I have a black and white standard, hundreds if not thousands of people have seen her and think she is prettier solids. The orginal poodles were multi colored and originated from Germany, do your homework! We have a year old small standard, Klein or moyen, poodle. She is wonderful. She’s very smart and well-behaved. We’re doing obedience classes now and are planning therapy training. We’ve had four toy poodles and a maltipoo before. I love poodles! Wow! We were looking to get a poodle, and i did not know most of this! it is good to do lots of research before getting a pet!! Yes, so glad you did research beforehand so you know what to expect! 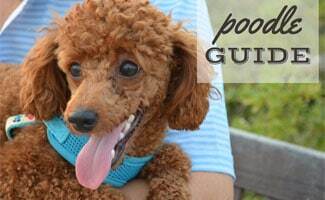 This is very useful info, I have been on the fence about getting a Mini Goldendoodle for some time now but don’t see the Golden Doodle listed here, aren’t they a type of poodle too? Brittany, yes Goldendoodles are a cross-breed between a golden retriever and poodle but they are not a technically a poodle since it’s a hybrid. Hope you didnt do it. Get a poodle or a lab but not a cross bred. The disreputable breeders try to cash in on the latest trends and think nothing of the integrity of either breed. Its all about money for them. It took many years to bred a true poodles or retriever and this should be kept in mind. Any “doodle” is a very expensive mongrel dog. You would be better off to choose which breed is better suited to your personal needs and find a reputable breeder. In the other hand, it is sad that so many dogs don’t find homes and are killed in “shelters.” If a pure bred is not important, please rescue one of the thousands awaiting adoption.